The classic image of a factory chimney clouded in smoke, polluting our world, is becoming more and more dated. Don’t get me wrong, there are still a lot of chimneys around the world causing problems – but nowadays many have instead turned the focus towards products. Or the contents of products, to be more precise, since our clothes, home appliances and other everyday products still contain hazardous chemicals. At the same time, our interest in recycling – turning old products into new ones – is growing by the day. But how much of the material is actually usable, not just from an economic standpoint but also from the perspective of health and the environment? The so-called circular economy has already been a hot topic for years for the political elite, so what will it take to actually make the vision real? There’s a big ol’ elephant in the room that many people in love with the concept of circular economy seem to miss. It will be very apparent though if you discuss the concept with the people who are actually going to make it happen: the manufacturing companies of the world. Looking at design and production, and what the barriers for a circular economy are, it always comes down to hazardous chemicals. Increasingly, downstream users are realising that hazardous substances mean exposing customers to a risk – or a perceived risk, which can be just as devastating for the brand. Many companies see that trying to exclude hazardous substances completely from their products is the most profitable and smartest way going forward. In order to achieve this you need full material disclosure of the materials you use in production, and this is the part where the circular economy gets tricky. Chemically progressive companies are usually very positive towards using recycled material, but only – and I really must stress this – only if it is free from hazardous substances. 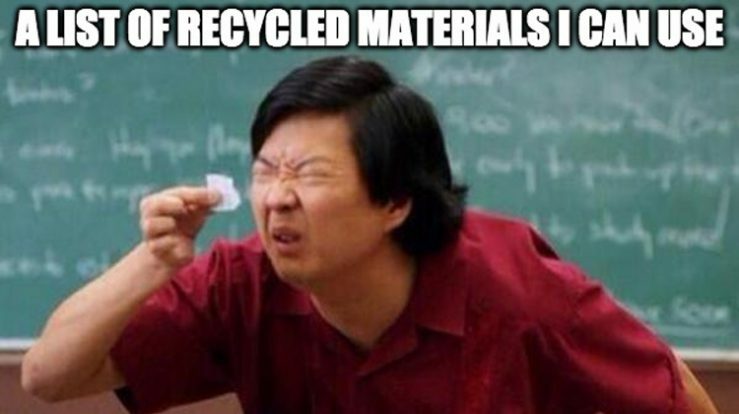 That’s why recyclers must be able to show exactly what their secondary material contains. 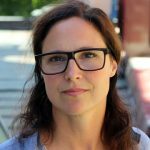 If they can’t manage that it will be tough for the industry to grow – and make the circular economy successful – since the Ikeas, Apples and H&Ms of the world won’t be buying their products without a material disclosure. I am a firm believer in tough legislation – it creates pressure that ensures a favourable environment for new technology and innovation. But separating chemicals from recycled materials through some kind of new technical process will be extremely complicated and it will surely cost a lot of money, raising the price for recycled material in the process, and making it less competitive. Instead, the most rational solution would be to ensure that information on chemical content follows the product into the waste phase. Exactly how this can be achieved will be a tough nut to crack, but it must be cracked, otherwise the circular economy won’t work. One idea floating around is that manufacturers should simply add virgin material until the recycled material has a much lower total percentage of hazardous content. But this is not only a waste of high-value material – it is merely postponing the inevitable and closing your eyes to the elephant in the room. For fear of creating a toxic dump, we would simply end up living in one. No, the cheapest and most efficient solution is not to accept hazardous substances in any products to start with. The success of the circular economy hinges on a strong REACH as well as specific product regulations. Tighter, more controlled chemicals legislation that builds on the precautionary principle can really skyrocket the circular economy into the future.